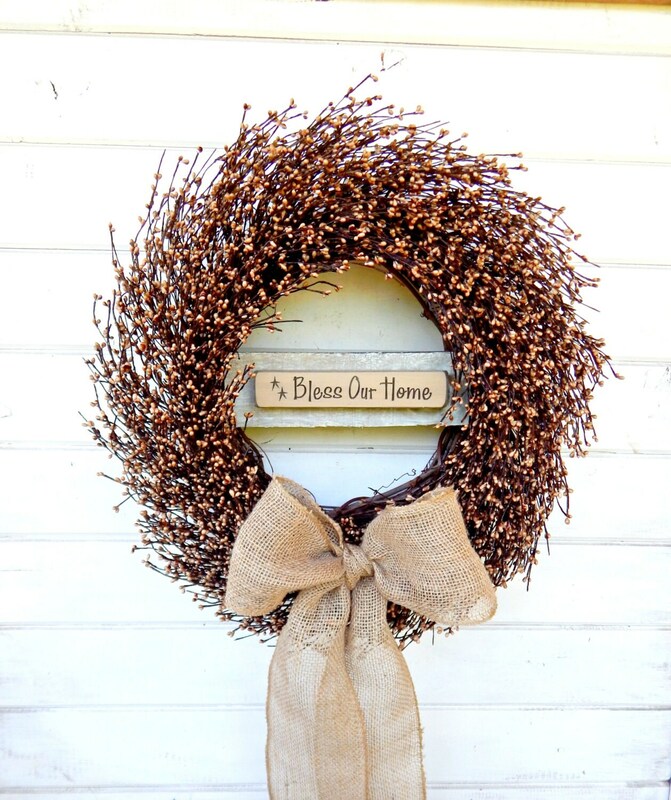 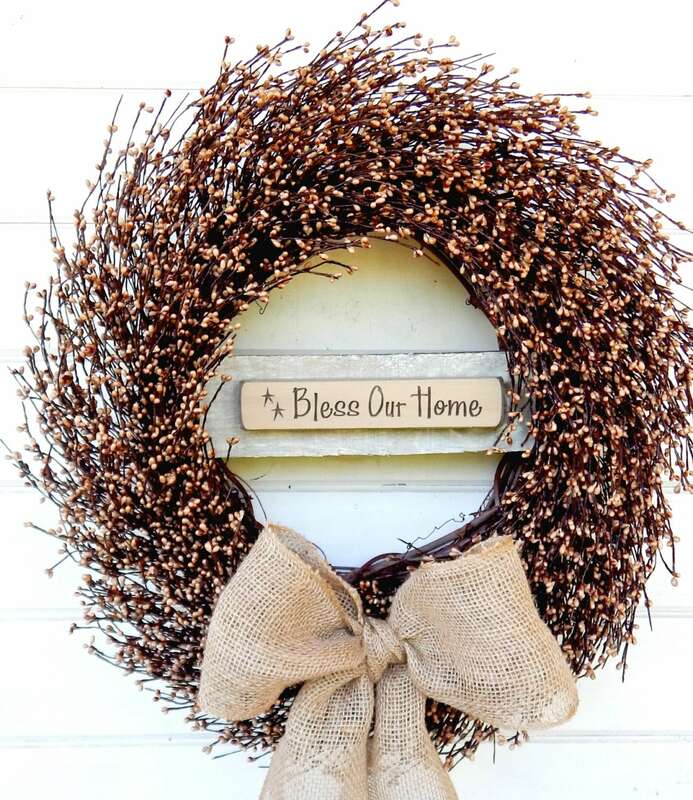 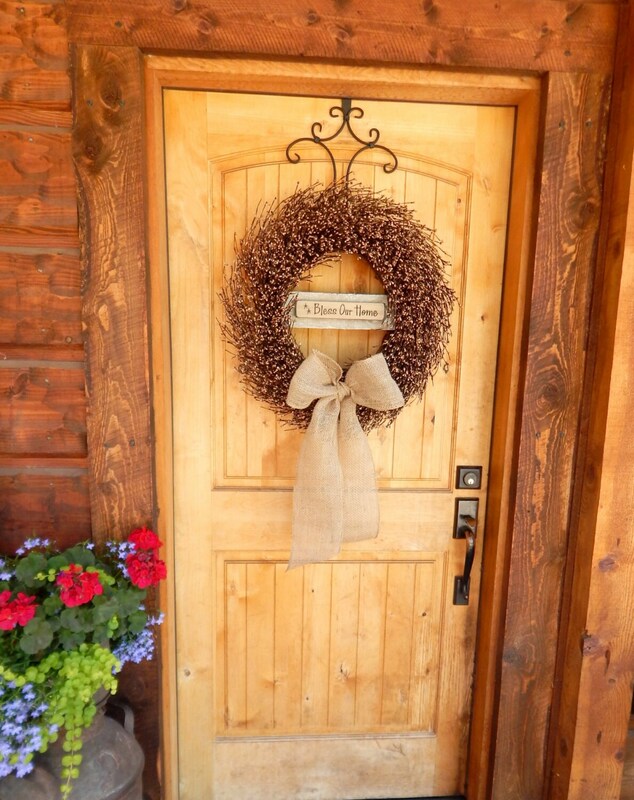 A Primitive Pip Berry Wreath with a Large BURLAP Bow and a BLESS OUR HOME sign!! 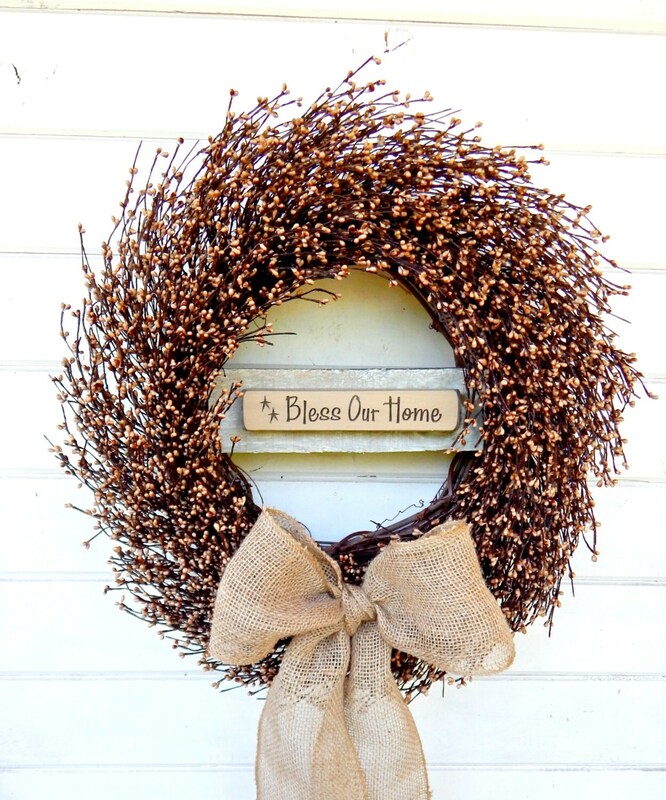 Welcome the FALL Season with this LARGE Grapevine Wreath! 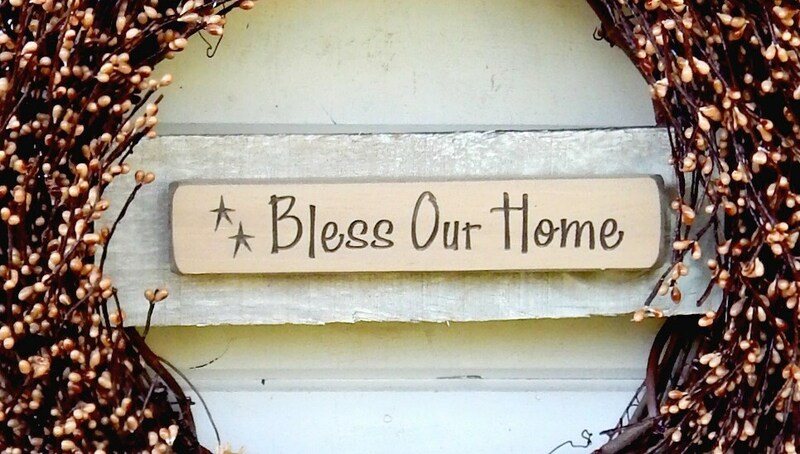 Looks great on your front door, porch, entry way, family room or kitchen.